This blog is dedicated to students who are preparing for engineering & pre-medical entrance exams like JEE Main | JEE Advanced | AIPMT | AIIMS & school & high school level competitions like NTSE, National & International Olympiads etc. You get fresh information of exams and tips how to prepare, sample papers & much more here. Here are given all important details which should be remembered before JEE Advanced 2015 exam. Candidates should register for appearing in JEE (Advanced) 2015. Registration is through the online portal only. 50.5% for GEN (from the common rank list), 27% for OBC-NCL, 15% for SC and 7.5% for ST.
* Even if a candidate did not opt for appearing in JEE (Advanced) 2015 while registering for JEE (Main) 2015, he/she can still register for JEE (Advanced) 2015. * Application for JEE (Advanced) 2015 CANNOT be withdrawn after registration is completed. * Registration fee is NEITHER refundable NOR transferable. 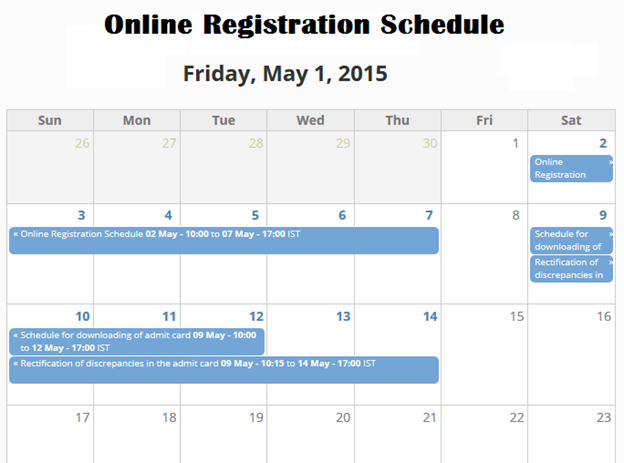 * Detailed instructions for online registration will be provided on the registration portal. * If students have any doubts and queries related to exam pattern, preparation and other related queries, students can call the JEE Advanced 2015 Exam Helpline at 011-40360360. 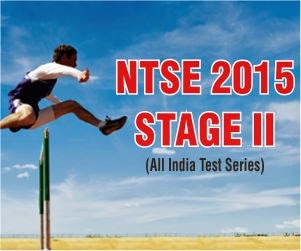 NTSE (National Talent Search Exam), an exam for which every student who is appearing in 10th class dreams and wants to crack. This is the India’s toughest and most prestigious examination which is organized by NCERT (National council of Educational Research and Training). The NTSE scholar is always recognized as an extra ordinary student because the NTSE is itself widely regarded as the most prestigious examination at high school level in India. But question is How to prepare for NTSE? NTSE finds talented students and nurture them for further high education. So, for preparation of NTSE you need to upgrade self with conceptual knowledge in terms of enhancing analytical skills, knowledge skills and applications to boost & sharpen the concepts of syllabus up to class 10th. It is a critical component of visual thinking that gives one the ability to solve problems quickly and effectively. It involves a methodical step-by-step approach to thinking that allows you to break down complex problems into single and manageable components. Analytical thinking involves the process of gathering relevant information and identifying key issues related to this information. In Science and Mathematics of 9th and 10th standard students needed in-depth study of advanced questions. To manage these applications there is no need to study higher standard knowledge or books. It’s obvious that if you are going to fight the exam of national talent research then you must be talented in social area also. Students should prepare for History, Geography and Civics, good knowledge of current affairs, current events and Country as a whole. Join Online and Offline Test Series It’s not the best way to study at home or school for fighting this exam. You need strong and effective study material for NTSE exam for better preparation and need to join Online and Offline Test series for improvement in your weak zone. 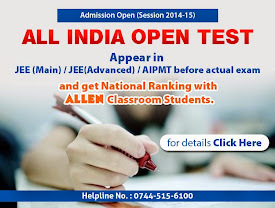 ALLEN the best place from where you can get useful study material prepared by experienced faculty and NTSE Online and Offline test series for your better skills improvement.